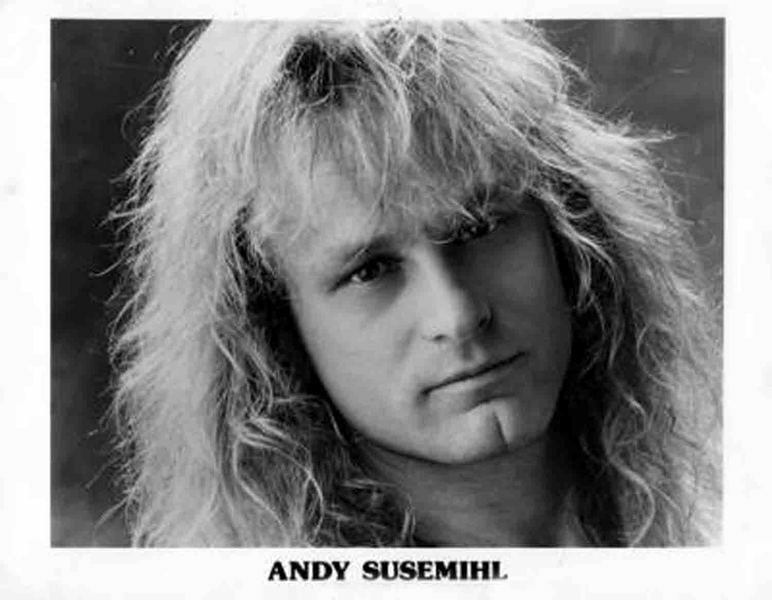 A detailed CV of the guitarist Andy Susemihl should fill several pages, so I limit myself to a few references in short: In 1986 Andy became a member of the band Sinner, in 1987 Udo Dirkschneider recruited him for his project U.D.O. and together with the band he recorded the album "Mean Machine". Since 1990 he has worked with various projects. For Sinner's album "No More Alibis" (1993) he also attacked the ax. In the following years he made himself more and more as a producer and live musician a name. 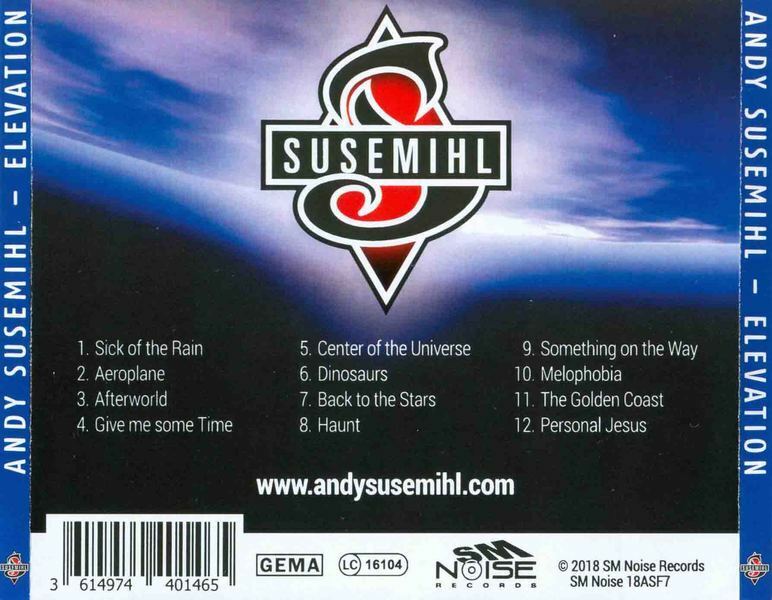 In 2008 Andy Susemihl released the two discs King & The Giant and Supermihl & Superfriends. 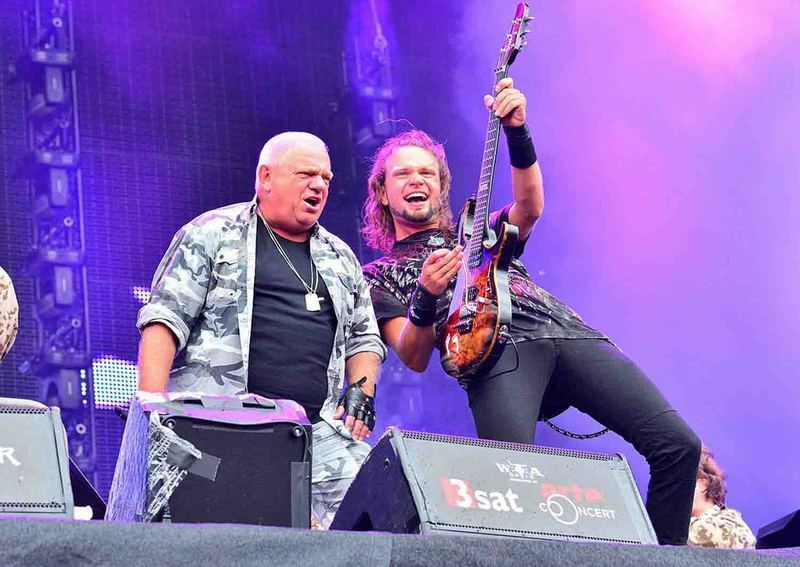 In 2012 he was engaged by Roland Bless (Pur) as his official guitarist for numerous appearances. But that did not stop the restless musician from recording for the German-language album "Alles wird Gut!" to deal with, which appeared in 2015. A year later, the instrumental album Supermihl & Superfriends - Vol. 2 was released. All discs got good to very good reviews. "Elevation" is his fifth solo album produced by himself, in which once again, as with his discs, an illustrious band of musicians was involved. All songs, except for "Personal Jesus", were composed and written by the artist on his own. That he is also a brilliant guitarist and singer, he has proven in all the years of his musical creativity sustainable.Andy Susemihl can not be put into a musical drawer, as he has already made that clear with the past releases as well as on the newcomer here.So he skilfully spans the gap between crunchy hard rockers ("Sick Of The Rain", "Dinosaurs") and pithy pop songs ("Afterworld", "Something On The Way"). But he also fishes a bit in blues like "Center Of The Universe", which would have been perfectly placed on Gary Moore's "Ballads & Blues". Yes, even the guitar licks could easily pass as a phenomenal tribute to the Northern Irishman.Or he sniffs mainstream rock with "Back To The Stars". Susemihl was supposed to hire a songwriter at Bon Jovi, maybe they could finally pick up on old heights.With "Haunt" I had the impression that I have heard the piece before. Until the 'enlightenment' came. The rhythm as well as the structure during the stanzas sometimes remind me of The Song Remains The Same.Basically it's mostly relaxed on the disc, where 'relaxed' is not meant to be negative at all, as are ballads like "Airplane" (which makes you think vocally of a mixture of Eddie Money and Bob Welch) or "Give Me Some Time". are not served with frosting, but rather with a decent dash of peppers. 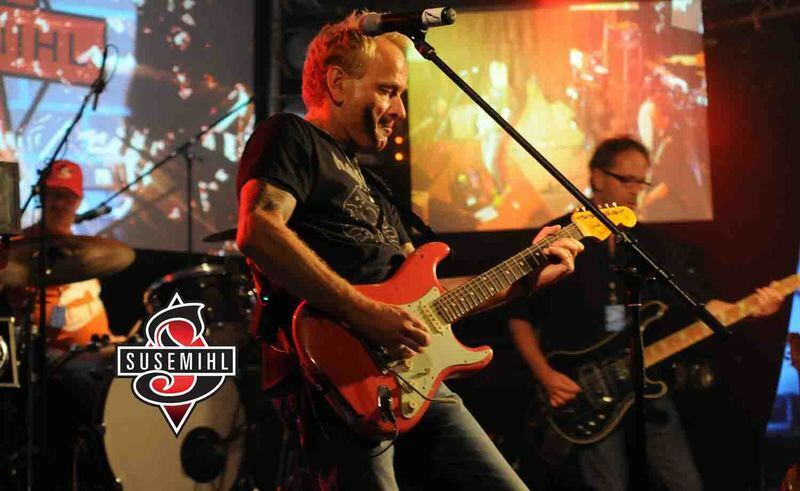 Susemihl knows to inspire with sophisticated arrangements, crisp riffs and accentuated set guitar solos, as the already mentioned "Airplane" - my favorite - impressively demonstrated.With his very 'personal Jesus', the artist says goodbye to the record. A really nice up tempo number, which immediately sets in the auditory canals. You can not help but rock, because the song spreads lightness and confidence. 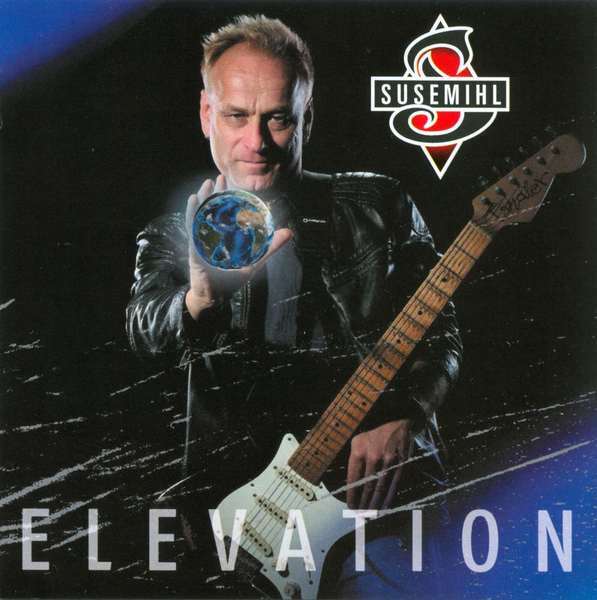 "Elevation" is a thoroughly entertaining album that wins with every listen and guarantees Susemihl fans to take off. My recommendation: From time to time you should take the time and take care of the lyrics, which contributes to the good overall picture of the disc.